For one-switch users wishing to browse freely through individual Kindle, Word, PDF documents and web-pages, this simple PC utility should allow you to do so. This utility needs to be downloaded, unzipped, started and then positioned on top of a running document or web-page. It is designed to be used with one accessibility switch set to act as the "1" key. 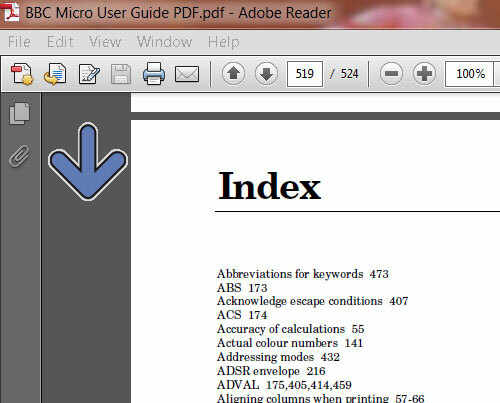 Adobe Reader: Free PDF format reader. Free On-line Novels: There's thousands like this. Kindle: Free PC Kindle reader. N.B.Within the One Switch Reader download are two alternative "AutoHotKey" scripts that do a very similar job, but without the on-screen arrow. Thanks to Tim Brogden and Bruce MacMichael. Tap "1" to page UP or DOWN as indicated by the arrow. Hold "1" for "Slow Scanning" in the direction of the arrow. To toggle the direction of the arrow, hold "1" for just a second or two then release it. Press the ' [apostrophe] key to enter the time adjustment screen. First set the speed for the Toggle Up/Down by holding "1" for the length of time you want. Secondly, set the normally longer speed for slow scanning by holding "1" down for a bit longer. N.B.All 4Noah utilities are the copyright of William Pilgrim © 2012 hosted here with his kind permission. These may not be charged for or adapted without prior permission.